The Palestinian Journalists’ Syndicate denounced, Friday, the Israeli invasion into Palestine Today Satellite TV Agency, in the occupied West Bank, the military orders shutting it down, and the abduction of three journalists. The Syndicate slammed invasion into the new agency the abduction of Farouq ‘Oleyyat, the head of Palestine TV, from his home in Birzeit town, and the abduction of journalist Mohammad Amro and Broadcast Technician Shabeeb Shbeib. 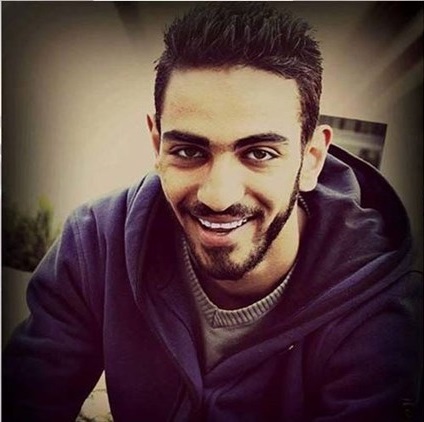 ‘Oleyyat was kidnapped after the soldiers stormed his home in Birzeit town while the journalist and technician were kidnapped from the TV’s headquarters in TransMedia Production and News Services, in al-Biereh. The soldiers confiscated broadcast equipment, before posting the official closure notice on the media agency’s main door. The Syndicate said the assault is part of the illegal Israeli attacks, and escalated violations against media agencies and journalists in occupied Palestine, adding that such violations reflect the bankrupt and aggressive Israeli policies. It called on Arab and international media agencies, and unions, to denounce the Israeli violations and to pressure Israel into halting these illegal policies targeting basic rights, including the right to the Freedom of Speech. An Israeli court on Thursday extended the detention of Palestinian journalist Sami al-Sa'ie for several days, pending further investigation. The wife of the journalist said that the military court of Salem extended the detention of Sa'ie for eight days in order to give Israeli interrogators more time to finish questioning him. The wife added that the court accused her husband of inciting to violence on Facebook pages. Sa'ie, for his part, rejected the charge leveled against him and asserted that he was only doing his job in a professional manner, according to his wife. Israeli soldiers last Wednesday stormed and ransacked the house of the journalist at dawn in Tulkarem city and interrogated him on site before taking him handcuffed to Hawara military camp, south of Nablus. He works as a news editor for al-Fajer al-Jadeed satellite channel in Tulkarem. The Israeli occupation forces (IOF) at dawn Friday stormed the office of the Filastin al-Yawm TV Channel in the occupied West Bank and arrested three journalists, including the office director. A PIC journalist said the IOF arrested the director of the Filastin al-Yawm TV Channel, journalist Farouq Alyat, from his own family home in Birzeit town, in Ramallah. 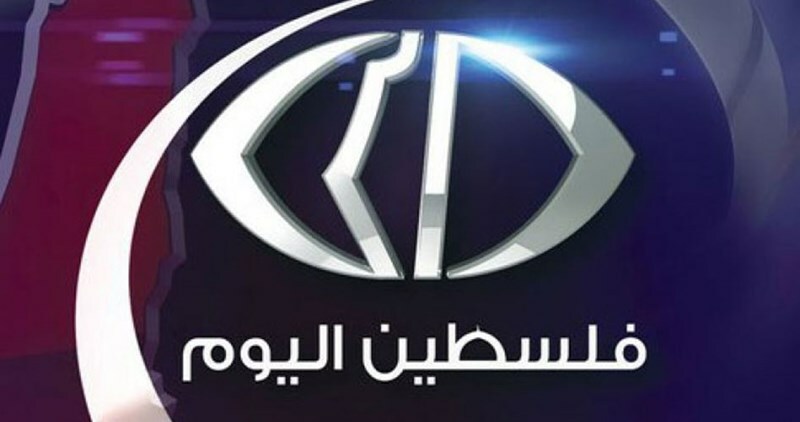 Heavily-armed occupation troops broke into the headquarters of the Filastin al-Yawm TV Channel and the Trans Media Company in the Bank al-Quds apartment, in al-Bireh, and confiscated their equipment before they posted a military order ruling for shutting down the Filastin al-Yawm TV office. Photojournalist Muhammad Amr and broadcasting technician Shabib Shbeib were arrested by the occupation soldiers in the assault. The break-in comes just a few hours after the Israeli cabinet, on Thursday, opted for shutting down Palestinian media channels which broadcast incitement for anti-occupation activism against Israelis and expanding prosecution against those who incite. 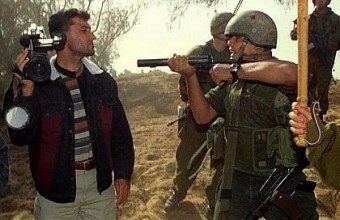 The Palestinian Journalists’ Union firmly condemned the assault, saying it rather makes part of a series of preplanned Israeli crimes against Palestinian journalists and mass media. The group called on the Arab and international journalists’ unions to express their condemnation of such Israeli violations and to urge the Israeli cabinet to backtrack on its oppressive measures against Palestinian journalists. Israeli forces during predawn raids on Friday ordered the closure of Falastin al-Yawm (Palestine Today) and TransMedia Production Company in the occupied West Bank hub of Ramallah. Locals told Ma’an that forces stormed the media outlets’ headquarters in al-Bireh and detained two journalists, confiscated property, and delivered military orders for the offices to be shut down. The journalists were identified as Muhammad Amro from Hebron and Shbeib Shbeib from Burqa near Nablus. Both were taken to the Israeli miltiary base in the nearby illegal settlement of Beit El. Israeli forces also detained head of the Falastin al-Yawm Faruq Elayyat from his home in Birzeit, a town near Ramallah. The raid was carried out through a joint operation between the Israeli military and Israel’s security agency Shin Bet, the spokesperson said, confirming that technical equipment and broadcast equipment had been confiscated. The spokesperson was unable to confirm if the closure was permanent or temporary. The army later released a video reportedly documenting the detention of Elayyat. The Israeli authorities shut down a number of Palestinian news agencies last November also on the grounds of “incitement against Israel” following an increase in unrest in the occupied Palestinian territory. The Palestinian government denounced the closures at the time, describing them as violation of international law. Secretary-general of the Palestinian cabinet, Ali Abu Diak, said at the time that the attack was part of Israel's policy to "oppress the voice of Palestinian rights" and to prevent publication of the truth about "the ongoing ugly crimes Israel is committing against the Palestinian people." While Israeli leadership has repeatedly slammed Palestinian officials and media for inciting the public to carry out attacks on Israelis, Palestinians have pointed instead to Israel's occupation and ongoing settlement program, no prospect of a political solution, and a deep sense of frustration and despair. Earlier this year, UN Secretary-General Ban Ki-Moon condemned the recent wave of attacks, but said that Israeli security measures were failing to "address the profound sense of alienation and despair driving some Palestinians -- especially young people." The Israeli security cabinet on Thursday approved a set of measures against Palestinian anti-occupation activists, in a move aimed at aborting the underway Jerusalem Intifada. According to Israeli news outlets, the Israeli cabinet pushed for cutting down the time it takes to knock down the homes of Palestinian anti-occupation protesters. Among the steps on the agenda were fast-tracking legislation to crackdown on those employing or assisting Palestinians who enter 1948 Occupied Palestine in search of a living, along with the cancellation of work permits held by family members and close acquaintances of activists. 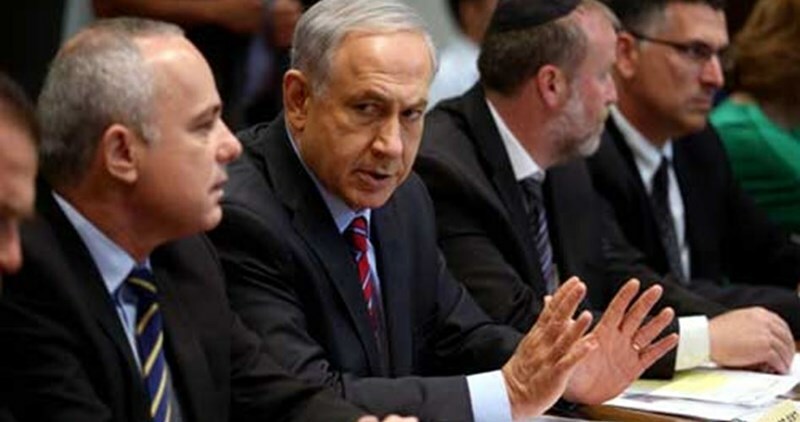 The cabinet further approved shutting down Palestinian media channels which broadcast incitement for anti-occupation activism against Israelis and expanding prosecution against those who incite. The cabinet further approved immediate work to seal off gaps in the security fence in Occupied Jerusalem and to complete construction of the apartheid barrier in the area of Tarkumiya, south of al-Khalil. 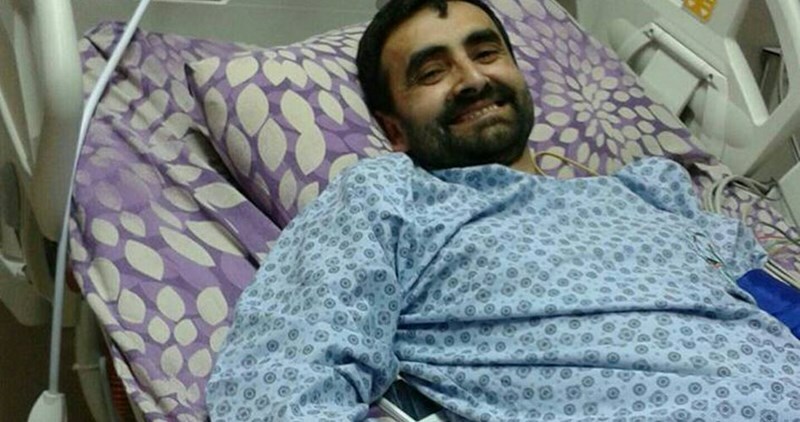 The wife of Palestinian journalist Muhammad al-Qeiq said Thursday her husband has started to recover from the health complications inflicted by a three-month hunger strike in an Israeli jail. Al-Qeiq’s wife, Fayhaa Shalash, said her husband has been undergoing the first stage of a medical therapy to treat a hyponatremia rocking his body. She said though her husband is going through a slow recovery, his health has seen a gradual improvement. Al-Qeiq is still in need of other medical treatments and check-ups to restore his normal health status, his wife added. Al-Qeiq had lost 30 kilograms of his overall weight during a hunger strike he initiated in Israeli lock-ups in protest at his administrative detention, with neither charge nor trial. 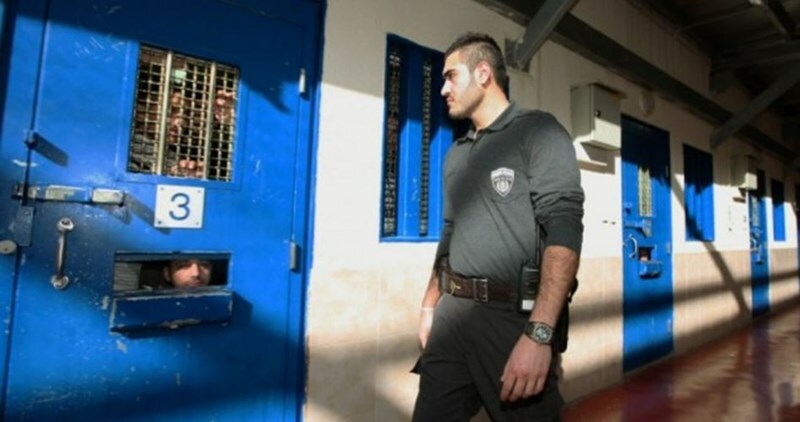 Al-Qeiq suspended his hunger strike after 95 days, following a deal struck with the Israeli prison authorities. Update: "Army Kidnaps 22 Palestinians In The West Bank"
The Palestinian Prisoners Society (PPS) has reported that the Israeli army has kidnapped, on Wednesday, 22 Palestinians, including children and a journalist, in different parts of the occupied West Bank, including Jerusalem. The PPS said the soldiers invaded and violently searched many homes, in the al-‘Eesawiyya town, in occupied Jerusalem, and kidnapped seven Palestinians identified as Qathaf Abu Rajab, Nadim Obeid, Shadi Dirbas, Mo’men Mahmoud, 15, Hamza Abu Rmeila, Yazan Abu Assab, 14, and Mo’tasem Abu Assan, 24. In addition, the soldiers kidnapped Aesha Wafiq Jomhour, 19, from Beit Anan town, after stopping her on the Qalandia Terminal, north of Jerusalem. The PPS stated that the soldiers invaded the Deheishe refugee camp, south of Bethlehem, searched many homes and kidnapped five Palestinians, identified as Rabea’ Malek Raqaban, 25, Mohammad As’ad Daoud, 23, Khalil Ahmad ‘Arafa, 24, Qussai Abu Salem and Ahmad ‘Aref Sar’awi. In the northern West Bank district of Jenin, the soldiers kidnapped Raja Qabaha, and his brother ‘Ayed and Younis, in Barta’a town. In Qalqilia district, also in the northern part of the West Bank, the soldiers kidnapped two Palestinians, identified as Bilal Sa’id Suwwan and Na’im Abdul-Latif Ghanem. The PPS further said that the soldiers kidnapped a journalist, identified as Sami Sa’id as-Sa’ey, and al-Motasembillah Abdulla al-Jaroushi, 29, in the northern West Bank district of Tulkarem. In Jericho, the soldiers kidnapped two Palestinians, identified as Jibreel Ibrahim Kharabeesh and Khaled Abdul-Aziz Safi. Israeli soldiers invaded, overnight and at dawn Wednesday, several Palestinian communities, in different parts of the occupied West Bank, searched and ransacked many homes, and kidnapped, at least, ten Palestinians. Media sources in Jenin, in the northern part of the occupied West Bank, has reported that the soldiers kidnapped one Palestinian identified as Moayyad Aref Eshteiwy, 58, after invading and searching his home. The soldiers also invaded Barta’a village, isolated behind the Annexation Wall southwest of Jenin, before breaking into and searching many homes and a toy store, and kidnapped three brothers, identified as Raja, Younis and Ayed Qabaha. The three brothers were taken prisoner from their toy store, after the soldiers invaded and searched it, and confiscated many toys. In addition, the soldiers invaded Hijja village, east of the northern West Bank city of Qalqilia, and broke into the home of Bashar Masalha, who was killed on Tuesday, and interrogated his family. The soldiers also shot and injured a young man in the Naqqar neighborhood, west of Qalqilia city, during clashes that took place after the army invaded it. He was shot in his arm and was moved to a local hospital. 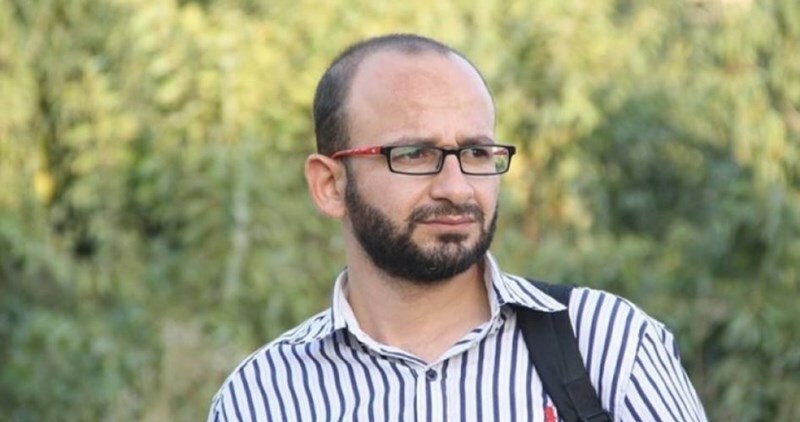 In Tulkarem, in the northern part of the occupied West Bank, the soldiers invaded the home of a journalist, identified as Sami as-Sa’ey, who works for the al-Fajr al-Jadeed TV in the city, and kidnapped him. The soldiers also invaded the Deheishe refugee camp, south of the West Bank city of Bethlehem, searched many homes and kidnapped five Palestinians, identified as Rabea’ Mazen Qabaha, 24, Ahmad ‘Aref Sar’awi, Qussai Abu Zeina, Mohammad As’ad Abu Daoud, and Khalil Mohammad Aref. Media sources said many Palestinians suffered the effects of tear gas inhalation, during clashes with the soldiers after several Israeli army vehicles invaded the refugee camp and searched many homes. 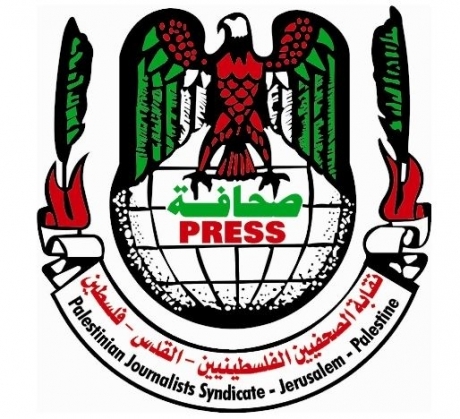 The governmental media office in Gaza affirmed prohibiting Israeli press from working in Gaza in accordance with a resolution issued by the cabinet. Head of the office Salama Marouf denied, in a statement on Saturday, allowing the reporter of Israeli channel two to enter Gaza for conducting a feature report. The Israeli journalist entered the Gaza Strip via Beit Hanoun crossing by a Portuguese passport and he showed a press card for the Spanish TV. He conducted interviews with Palestinian citizens and academics based on that, which was a manipulation by the Israeli reporter, Marouf elaborated. 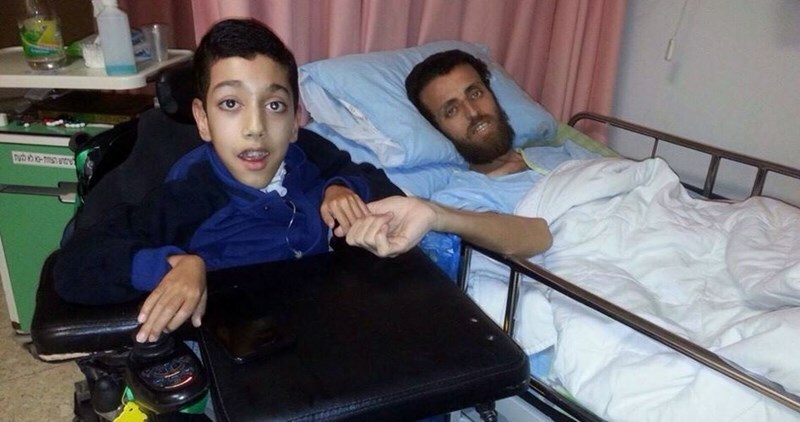 The wife of captive Mohammad al-Qeiq, Faiha Shalash, revealed on Sunday that he has started to take fluids and supplements after he had ended his hunger strike and that he was transferred to the Intensive Care Unit. She told the PIC reporter that the family could not visit him as Israelis allowed them to visit him within only five hours which is quite short time to arrange for the visit, she said. Shalash expressed her happiness for the victory of her husband in his battle of hunger strike that lasted for 94 days. She also said that she was glad to know that the medical examinations which her husband conducted showed that his internal organs are still healthy. 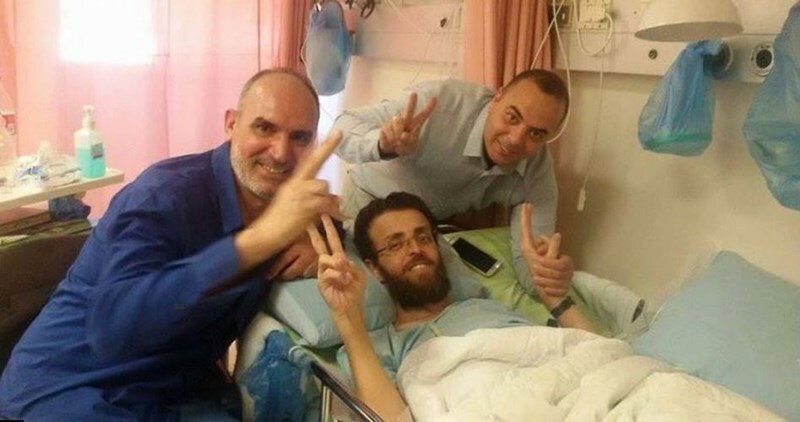 The leadership of Hamas Movement in Israeli jails declared last Friday that they reached a deal with the Israeli side that ended the hunger strike of journalist captive Mohammad al-Qeiq. Head of Hamas's political bureau Khaled Mishaal has phoned prisoner Mohamed al-Qeiq and his family, and congratulated them on the victory he had achieved against his jailers after 94 days of hunger strike. 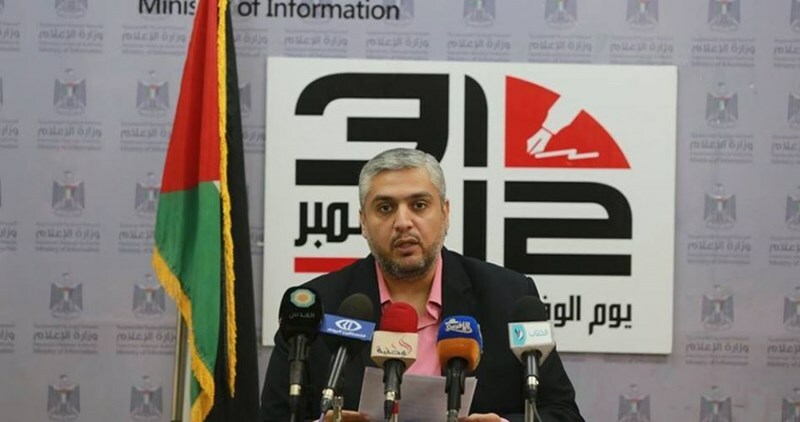 Mishaal also delivered a speech over the phone during a ceremony held on Friday in Dura town in al-Khalil to celebrate the deal reached for the release of journalist Qeiq. 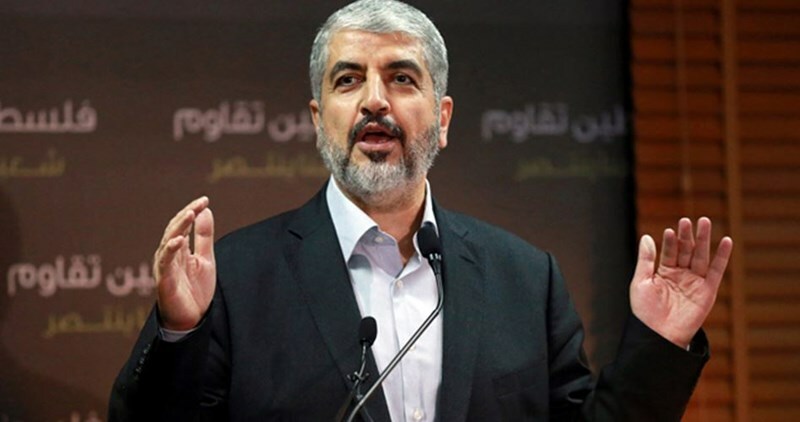 Mishaal hailed what he described as "the legendary and historic steadfastness of Qeiq", and called his victory against the occupation "a triumph for the Palestinian people in general and the prisoners in particular." He stressed that such victory is "an important milestone in the Palestinian people's struggle for liberation and return."